Grilling is a way cooking that uses dry heat application on the food surface, from below or above it. It makes use of a large amount of direct heat, and can cook food very quickly. The temperatures while grilling can often exceed 500 degrees Fahrenheit, which gives meat a distinctive aroma and flavor. For the true grill lovers, knowing the history of charcoal grill is one way of understanding how deeply rooted grilling is in the American culture. Grilling has been present in America even before the Colonial Times. It all began with the Arawak, who belonged to South America. They used to roast meat on a wooden structure referred to as Baracoa (Spanish). However, the real origins of grilling can be traced as far as 500,000 years back, when fire was domesticated. 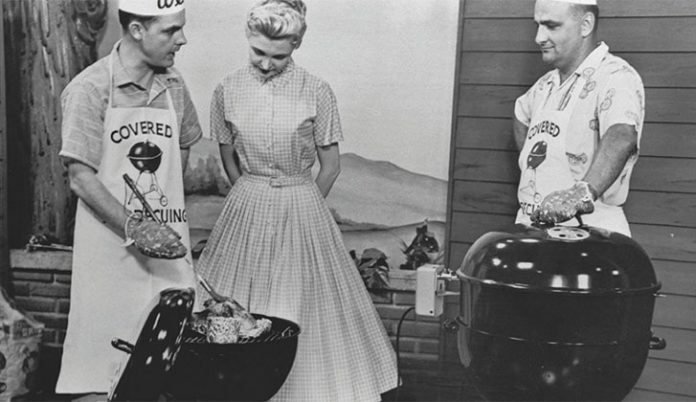 Until the 1940s, grilling was restricted to picnics and campsites. It was only post to the World War II that backyard grilling caught on. Man had to wait a long time before he could actually enjoy what we now know as the barbecue cuisine. While there have been many different grilling techniques, a large majority of those have connections to charcoal grilling- which is rightly known as a new era in grilling. The credit for the modern charcoal grill or briquette goes to E.G. Kingsford, who was related to Henry Ford. How all of that came about is an interesting story in itself. E.G. 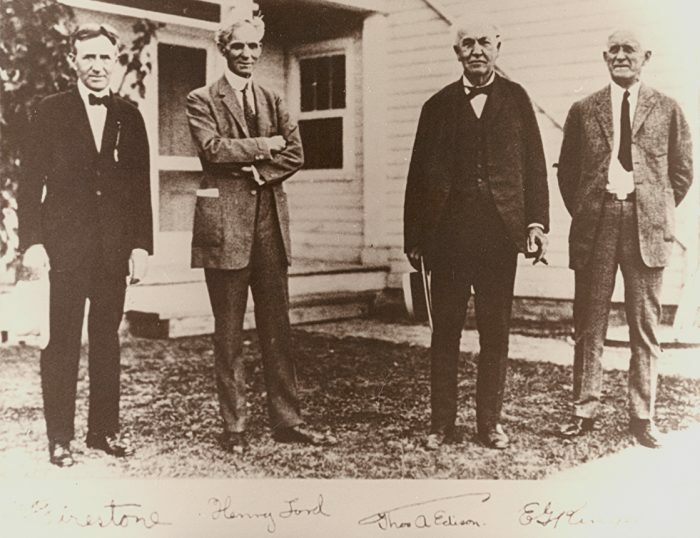 Kingsford was not only Henry Ford’s relative, but also worked for him. He was given the task of setting up a sawmill an a plant for the Ford auto parts, in the northern Michican area. While working there, the local community witnessed a lot of growth, which was renamed Kingsford to honor him. There, it came to his notice that the production line of the Ford Motel T were leaving behind a large quantity of wooden scraps as waste. Ford himself was always on the lookout for new ways to mix resources. This is when he gave Ford the suggestion of setting up a facility for manufacturing charcoal next to it, and selling the charcoal at the dealerships of Ford. The Kingsford Compay was originally called as the Ford Iron Mountain Plant. Later on, after his death, the company was sold to a few local traders and they named it as the Kingsford Chemical Company. From here on, other people made various models of the charcoal grill. George Stephen created ‘Sputnik’, which was a hemispherical grill, which was later sold by the brand name of Weber-Stephen Products Co whose products have been reviewed by us. 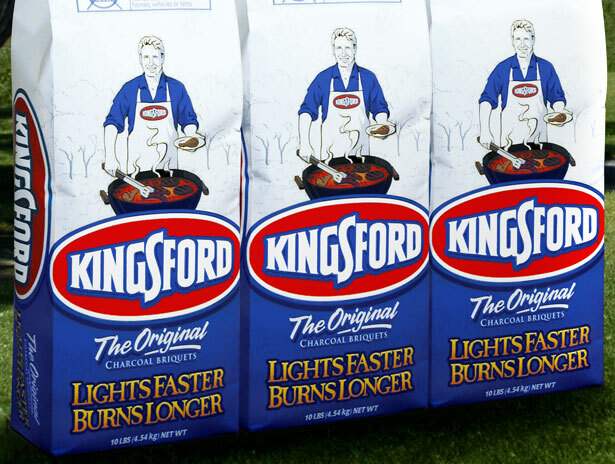 In his time, Kingsford did not use just charcoal. In order to make the appearance better as well as bring down the cost, he mixed a few more things into it- such as lime for making the ash white, sodium nitrate to increase the speed of ignition and sawdust for adding that woodsy odor. 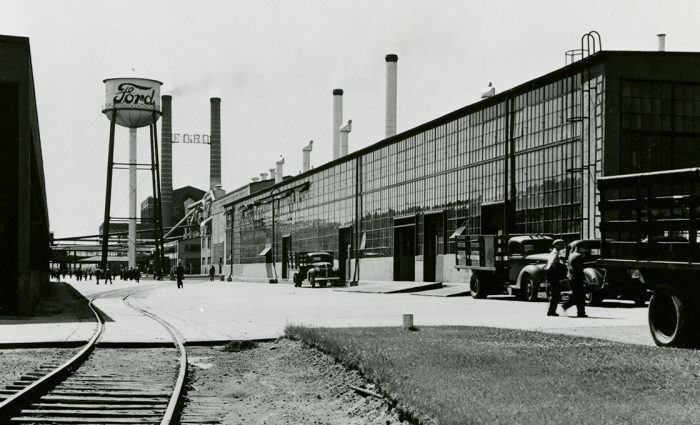 The Ford Factory stayed in operation between the years 1920 and 1951. The same area was also the site of a saw mill that manufactured lumber that was a part of various Ford automobiles, including the Model T’s steering wheel, chassis and the wheels. That particular Ford Factory is not just a historic site in context of automobiles, but also for charcoal grills. At present, Kingsford being a brand of charcoal is primarily used for grilling along with a range of other related products. The Kingsford Products are still the largest charcoal manufacturer in America, having over 80% of the total market share. Kingsford Charcoal is made using pine, charred softwoods, spruce etc, which is then mixed with other ingredients, including ground coal to form the charcoal briquette. Currently, the constituents of Kingsford Charcoal are Wood and Mineral Char, Starch, Limestone, Mineral Carbon, Sawdust and Borax. Charcoal grilling is not the only option these days- there are a number of other grilling techniques, including gas and electric. However, charcoal grilling continues to be one of the most popular techniques. It is not only more convenient, but also cost-effective and works with a range of meats. Many believe that charcoal grills are the ‘authentic grilling machines’. Whatever your choice may be, you have to eat charcoal grilled food to experience true gourmet and our proud Grills Forever team can help you with that! Next article6 Major Types of Grills: Which One Do You Want? Your posting really stretghienad me out. Thanks! Wow! That’s a good fact to be aware of! A person essentially assist to make critically articles I’d state. This is the first time I frequented your web page and up to now? I amazed with the research you made to create this particular post extraordinary. Magnificent job! That comment really made my day 😀 Gratitude’s from the core of my heart. I was looking at some of your articles on this site and I think this website is rattling informative! Continue posting. And continue blessing us with such overwhelming complements. Any additional suggestions or hints? I truly appreciate this blog. After research a number of of the blog posts in your website now, and I truly like your approach of blogging. I bookmarked it to my bookmark web site list and might be checking back soon. Pls take a look at my website online as well and let me know what you think. I hope you have been going through our contents on a regular basis. Don’t forget to share these with your friends and family too. Cheers!! I found your blog web site on google and test a few of your early posts. Continue to maintain up the superb operate. I just additional up your RSS feed to my MSN Information Reader. Searching for forward to studying extra from you in a while!? Yes of course. Providing newer contents on latest topic is what we emphasis most on. I hope you checked the latest ones too. Can’t wait more to hear your feedback regarding them. I am commenting to make you be aware of of the fine encounter my princess developed browsing your webblog. She came to find lots of details, most notably what it is like to possess an amazing teaching nature to get other folks with ease fully understand chosen extremely tough things. You truly did more than our own desires. Thank you for distributing these warm and helpful, safe, educational and even unique tips on the topic to Ethel. That’s really catchy as your princess liked our things. How old is she? Did she try some of these practically or was it just for educational purpose? Will be glad to know more details about this. Grills Forever relies on the scientific expertise of Texan Dan Morrison and the culinary artistry of Alex Coleman of North Carolina. Together they research grilling and smoking products and recipes and share their findings with you. Grills Forever is the definitive source for in-depth insight into all things grilling related. © 2019 Copyright Grills Forever. All Rights Reserved. Is Gas Grill Healthier Than Charcoal? Get the Answer Now! 6 Major Types of Grills: Which One Do You Want?